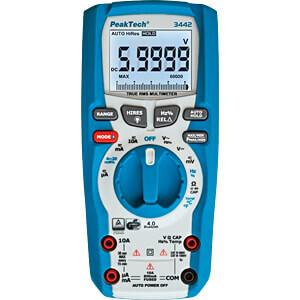 The PeakTech 3442 is a new digital multimeter for heavy duty use with a high variety of useful measurement functions. 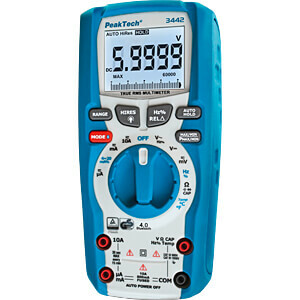 By keystroke, the display of the device can be switched between 3 5/6-digit LCD and a high resolution 4 5/6-digit LCD, whereas all measurements are gathered as True RMS values. 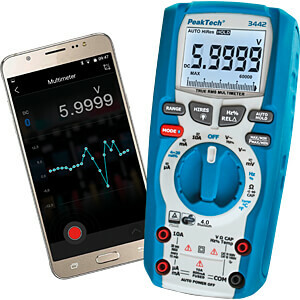 In addition to the comprehensive measurement functions for current, voltage, capacity, resistance and many more, this new developed device has a 4 - 20 mA% current loop measurement, low-pass filter and an Auto-Hold function, among many other things. 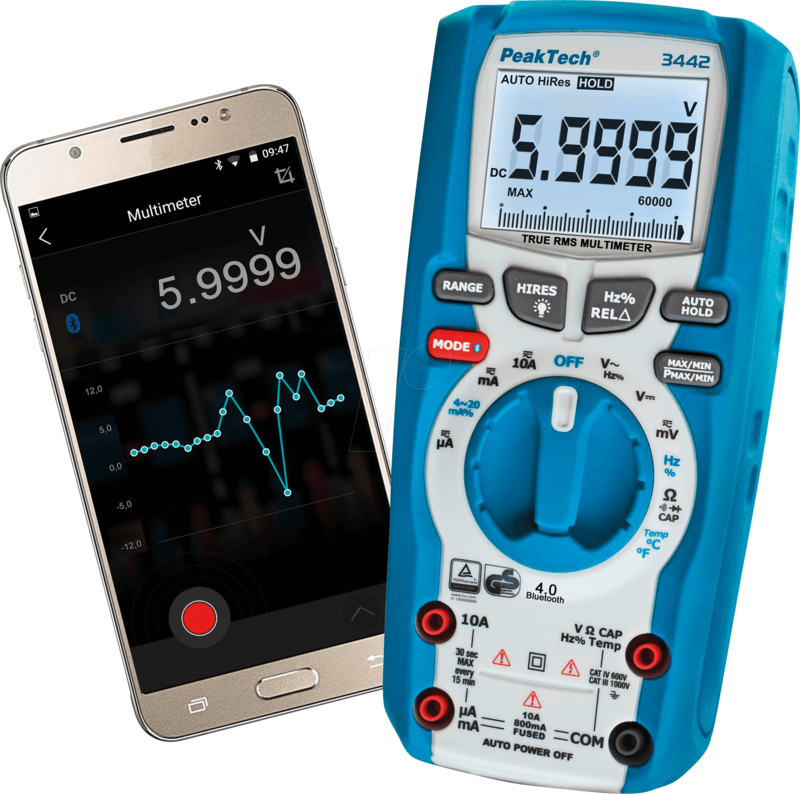 Through these many technical qualities, this device is suitable for the daily use of every electrician, technician and engineer in the service, construction or industrial sector.